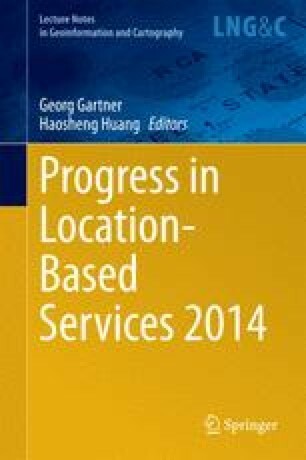 There is a long-running debate about how to best evaluate mobile location-based services with users: in the lab or in the field? In this paper, we investigate how to combine benefits of both methods using an Immersive Video Environment (IVE), providing a convincing audio-visual simulation of real-world settings. We contrast three methods to evaluate mobile navigation systems: one in the field, one in the lab and one “hybrid” solution (IVE). We found that using the IVE allowed us to identify nearly the same number of major usability problems as the field test. We also observed similarities between the field study and the IVE study in terms of participants’ performance, which provides initial evidence that in some settings, an IVE study may yield results comparable to a field study.